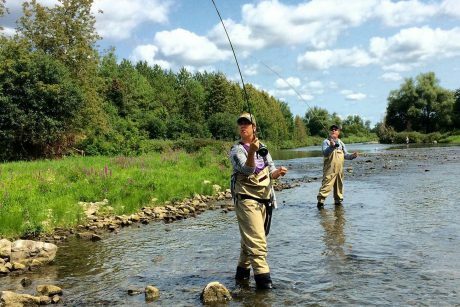 While the Grand River attracts paddlers and anglers from across the globe, if you think fishing or floating are the only ways to enjoy this Canadian Heritage River, you’re missing out on a whole heap of fun. Whatever way you prefer to enjoy your leisure time, this storied river offers the perfect backdrop for your next adventure. It’s also closer than you think. 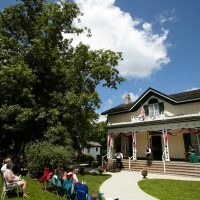 While most rustic riverside destinations require a long drive fighting cottage country traffic the whole way, two of the Grand River’s key access points, Brantford and Paris, are located just about an hour west of Toronto. Browse our menu of options below and build an escape filled with all the activities you love. 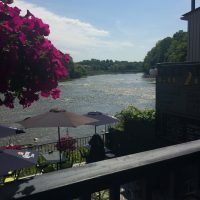 The Grand River’s gentle currents and shallow depths make it a great destination for new paddlers to perfect their strokes and seasoned paddlers to try something new. Area outfitters offer all the gear you need, mapped routes and the option of expert guides for a wide range of canoe, kayak, rafting and stand-up paddle boarding experiences. The Grand River is a must-try destination for fly fishers and the good news is there’s no reason to feel intimidated by this more technical take on sinking a line. 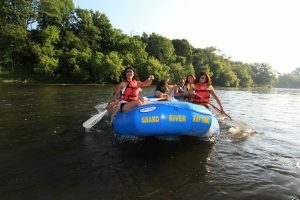 Outfitters like Grand River Rafting offer guided shore wading, spincast and driftboat trips on the Grand River. 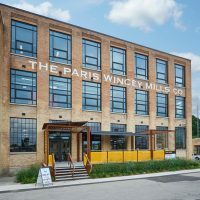 The heritage buildings, cobblestone streets and unique boutiques make shopping in downtown Paris an experience that is miles apart from an afternoon at the mall. 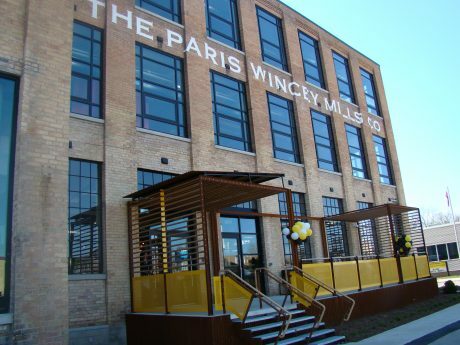 Be sure to plan a stop at The Paris Wincey Mills Co., a historic building that has been beautifully restored and is home to a wide range of vendors. 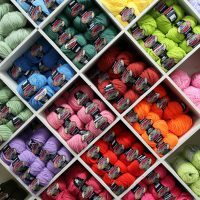 Crafters will definitely want to set aside some time to browse the 10,000 square feet of knitting, quilting, sewing and crafting supplies at Mary Maxim’s retail outlet on Scott Avenue. The Six Nations of the Grand River, which is Canada’s largest First Nations reserve, plays an incredibly important role in ensuring the history of this storied river that winds through their home lands lives on. 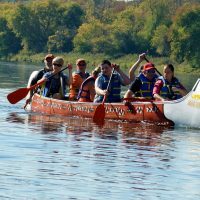 The canoe has been a key mode of transportation over the years for the Mohawk, Onondaga, Oneida, Cayuga, Seneca and Tuscarora Nations that call the Six Nations of the Grand River Territory home. Area outfitters work closely with Six Nations partners to offer a wide range of paddling experiences that educate visitors to the area about First Nations history while they enjoy a day out on the water. 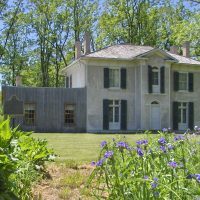 Visit Chiefswood Mansion National Historic Site, the childhood home of Mohawk Poetess, E. Pauline Johnson, that sits on the shores of the Grand River. While you’re there be sure to tour Her Majesty’s Royal Chapel of the Mohawks. 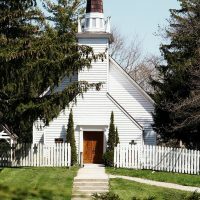 Built in 1785, this beautifully preserved National Historic Site is the oldest surviving church in Ontario and the last remaining building of the original Mohawk Village. 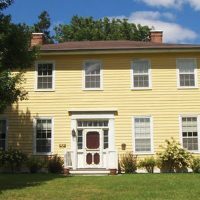 The Woodland Cultural Centre’s Museum and Gallery are both also excellent options for learning more about the Grand River’s rich First Nations history. 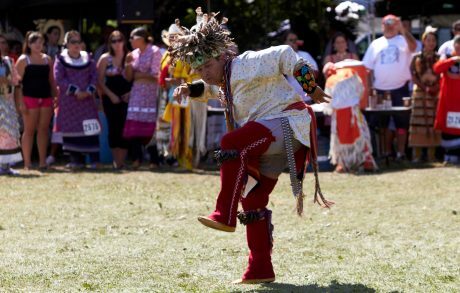 For the ultimate Six Nations experience on the banks of the Grand, time your visit to coincide with July’s Grand River Champion of Champions Pow Wow when over 400 dancers from across North America compete in colourful Pow Wow dancing and singing contests. Paddling isn’t the only way to explore the Grand River. 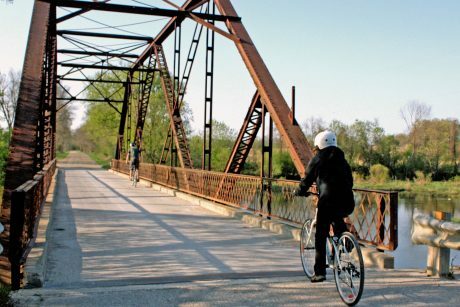 Cycling or hiking the 14-kilometre SC Johnson Trail, which runs between Paris and Brantford, it another excellent way to take in some truly scenic Grand River vistas. This brochure will help you plan your route. 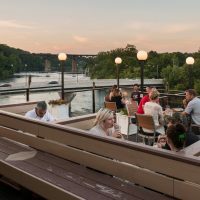 Whether you’re looking for an après-paddle pint, a family-friendly feast or a romantic dinner for two, there are several options that serve up delicious food with a healthy side of Grand River scenery. 2 Rivers and Stillwaters! Plate & Pour are both great options. 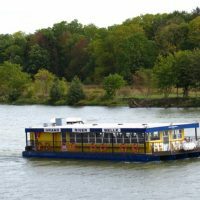 For the ultimate on-the-water dining experience, book a Grand River Dinner Cruise. Spend the night sleeping in a tent within a stone’s throw of the Grand River. 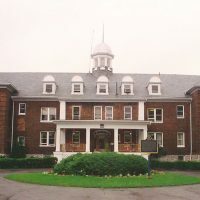 Brant Park is nestled in a bend of the Grand River just a few minutes outside of Brantford. Rental canoes are available and for swimmers who prefer a pool, the park is home to a 1.25-acre pool with a splash pad area and large deck for lounging. 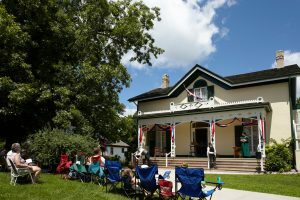 History lovers and antique hunters will have no trouble finding ways to spend a few days exploring the communities located along the Grand River. From having afternoon tea in the childhood home of Alexander Graham Bell, to exploring the Myrtleville House Museum to shopping for vintage finds at Maus Park Antiques in Paris, there are endless ways to fuel your love for days gone by. 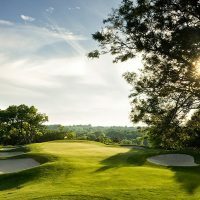 If you’d like to experience Grand River views with a golf club in your hand instead of a paddle or a fishing rod, Brantford Golf and Country Club is the course to add to your list. 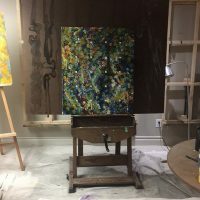 PGA veteran, David Hearn, who still plays the course quite regularly, has called the course a great test that “uses your whole bag.” Golf course critic, Marc Saltzman, has called the course spectacular and ranked it within the province’s top 20. 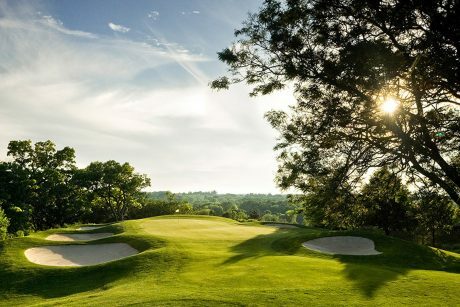 Ian Andrew, a member of the American Society of Golf Architects, offered high praise for the course when he said it had the best set of par threes in Ontario. 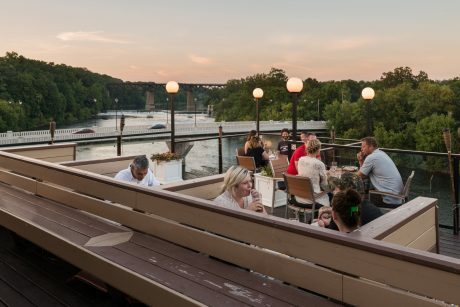 It’s never been easier to get the inside scoop on great deals for attractions, activities and dining for your next Grand River escape. 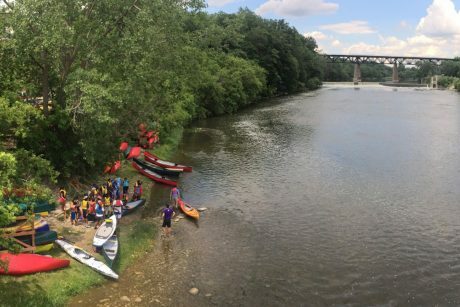 Don’t forget to tag your Grand River social media shares with #PaddleTheGrand, #NatureUnexpected and #HamiltonHaltonBrant so we can see all the fun you find!